Are renters carrying the U.S. housing market? 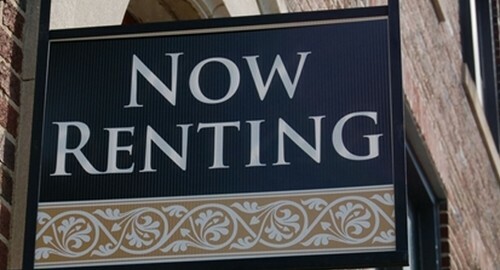 A couple of recent articles – one from CNNMoney and another from U.S. News & World Report – suggest that although the housing market is clearly improving, it may be renters that we have to thank in 2013. A report by Capital Economics shows that housing starts, for example, have increased 37 percent over the past year, yet home sales rose only 9 percent during that time. In December 2012, housing starts hit an annualized 954,000, compared to only 369,000 homes sold. And while it may appear that new construction is outpacing demand, that isn’t necessarily true. The fact is, according to CNNMoney, that builders are simply constructing homes for renters more than buyers. Multi-family unit construction for rentals jumped a whopping 150 percent from 2010 to 2012, exceeding the rise of multi-family homes for sale by 50 percent. But, although renters are outpacing buyers, mortgage applications for home purchases have risen, as well as the rate of homeownership. CNNMoney suggests that perhaps home sales aren’t necessarily one of the keys to a healthy housing market, so long as renters keep up the pace. As the housing market continues to recover in 2013 and people show interested in purchasing homes, lenders may want to ensure they have quality loan management software in place. Paired with an amortization calculator, this will help guarantee that any repayment plans designed for hopeful homeowners fit within their budgets and will not lead to foreclosures down the line.